Fate is a line free will twists into a spiral. "If ever there's a drop left in this box , or the King's, Miss," he replied. "It tasted of smoke and cherries," I said. He tilted the bottle to read the label. "And rain. One of his favorites this one." About The Plague Diaries by Ronlyn Domingue*: The astounding, epic conclusion to the Keeper of Tales Trilogy brings together the cryptic prophecy in The Mapmaker's War and the troubling mysteries in The Chronicle of Secret Riven--leading to an unforgettable reckoning between lies and truth. We are all born made of gold. Secret Riven--the mystically gifted heroine who now represses her uncanny telepathic power--works for the mysterious magnate Fewmany as an archivist in his private library. There, she stumbles upon the arcane manuscript that had vanished following her mother's untimely death. 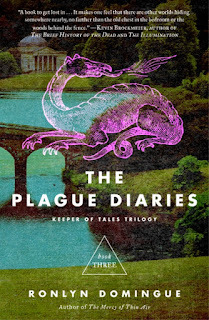 She suspects the manuscript contains a profound secret, and she is yet unaware of its link to a thousand-year-old war and her own family's legacy. The tasks before her are clear: Secret must finally learn what Fewmany wants from her as well as the meaning of a strange symbol she's dreamed of since childhood. At last, she must confront the questions haunting her and depart on a quest to find the truth about herself, her dead mother, and her fate--to unleash a Plague of Silences meant to destroy, and transform, the world as all have known it. A dazzling, genre-bending masterwork, The Plague Diaries illuminates the power of our choices, the scars they leave, and the wounds they heal. That first line is a gem. And the page 56 snippet is intriguing - words that draw me in, intrigue me, and eventually push me to read. I've been a little quiet lately on the blog as life has taken some twists and turns. But I am well and I hope you all are too! 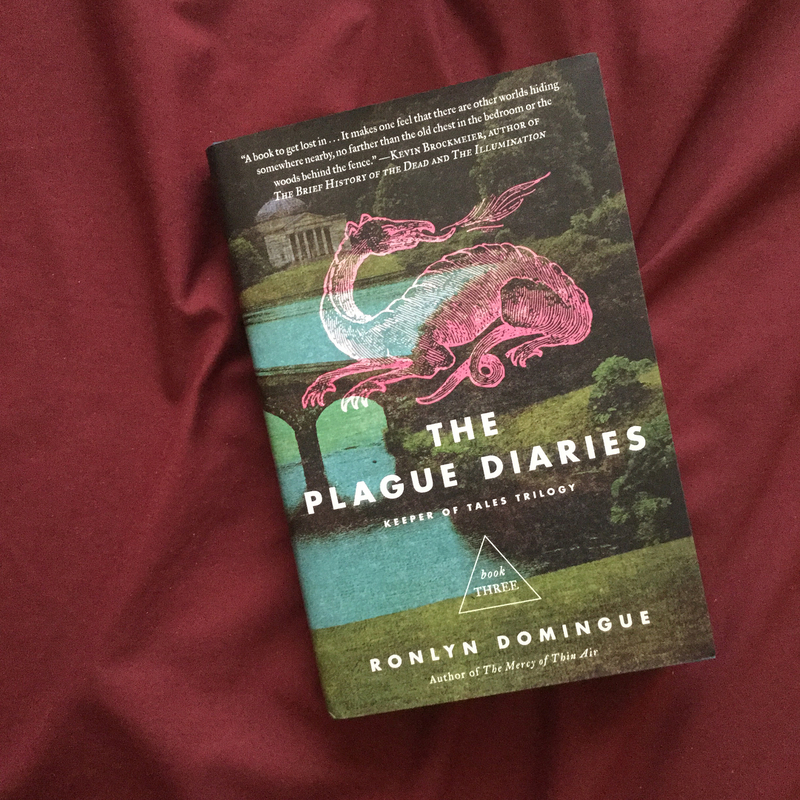 It's uncanny that I got an email recently from the author of today's feature book, Ronlyn Domingue, who I "met" through the first book in this trilogy. I loved that first book that the second made its way to me ... and now, four years later, the third and final book is now here! Ronlyn has a guest post (involves lots of paper and pens) and a GIVEAWAY. So please, join ! Leave a meaningful comment or question for Ronlyn in the comments below. Tweet about this giveaway (leave link in comments). Share on Facebook (leave link in comments).